My goal for this year and hopefully future years that follow is to take better care of myself. And when I say take care of myself I mean mentally, physically and spiritually. 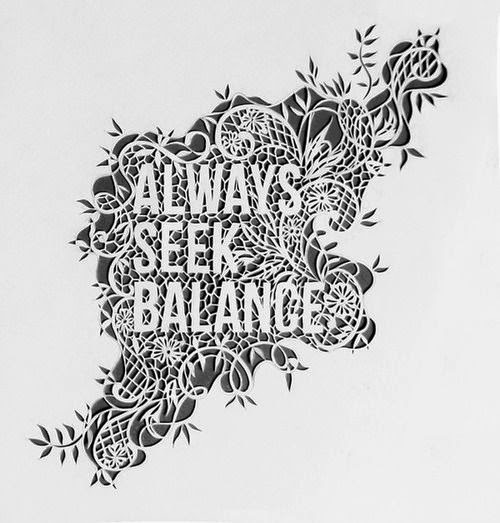 I want to live an all-around balanced life. I have neglected my skin immensely ... I seem to neglect it until it is dehydrated, dull looking and saggy... yes you read that right S-A-G-G-Y. There seems to be a lack of elasticity in certain places... sorry a little bit of TMI? Well too bad my dears, I feel you needed a visual and I bet you can relate. Sadly, with two young ones I rarely have time to get to look myself in the mirror, let alone actually do something for myself. Well things are a changing!! 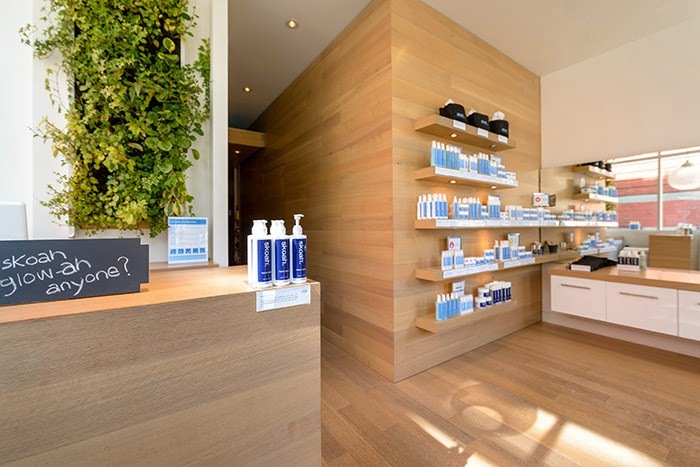 Skoah is a Vancouver, BC based skin care company. Their tag line says it all "Personal training for your skin"
Skoah's products are incredible and I absolutely love that they are a local company! I am also impressed that they now have locations all over BC, Alberta, Washington and Massachusetts!! Have you been to Skoah loves? If not, you need to go there... like now! Call and book yourself an appointment. I am serious loves! Do it and make sure to make it a standing monthly one! The moment you walk though the door of Skoah LO LO you feel the weight of your outside world responsibilities leave your shoulders. You breathe in the calm and start to stand a little taller. I believe it's a combination of the beautiful space, the sweetest staff ever, and knowing that the next little while is going to be all about YOU and that your skin will look and feel glorious!! The wonderful thing about facials is that they fit into your lifestyle. For the person who has an afternoon or for someone on the go, facials range from 25 mins to 75 mins. If you are someone who only has 30 mins to spare than book yourself in for one of Skoah's Target sessions- you have 4 options to choose from and the price of $45 is perfect. I truly believe that we all have time to make ourselves a priority, be it a few minutes or a few hours!! 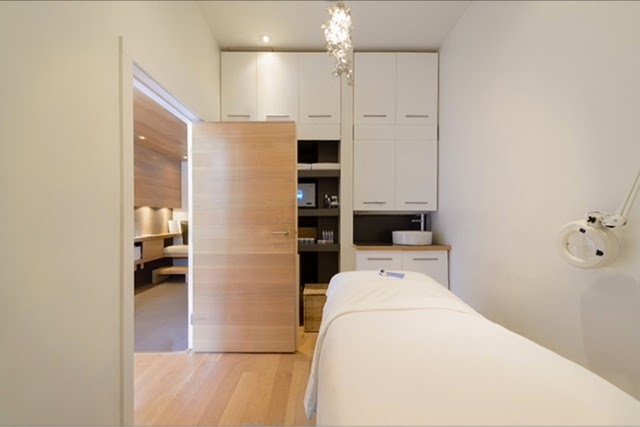 Once you are led to your treatment room (oh make sure to have a quick visit to the loo before hand, the last thing you want to disturb your tranquility is thinking how badly you need to go pee!) Okay so after the loo you slip into the cozy and heated treatment beds that are dressed with the fluffiest of blankets. Once you are snuggled in, make sure to let your hair down... because the facial starts off with a head to décolletage massage which is AHHHMAAZZIINNGG!! In under an hour, you'll enjoy muscle melting massage while powerful masks get your skin in shape. This full facial also includes extra attention to your peepers and pout - great for smoothing out your signs of wisdom. Now I wish I could go into all the delightful techniques and products that were used, but I was too busy enjoying every moment. During the facial my skin was analyzed and to my amazement, there was no skin damage to my face. (Way to go make-up with SPF!!) There were some dry patches on the apple of my cheeks and my forehead. A few extractions were made, but I knew that was coming. 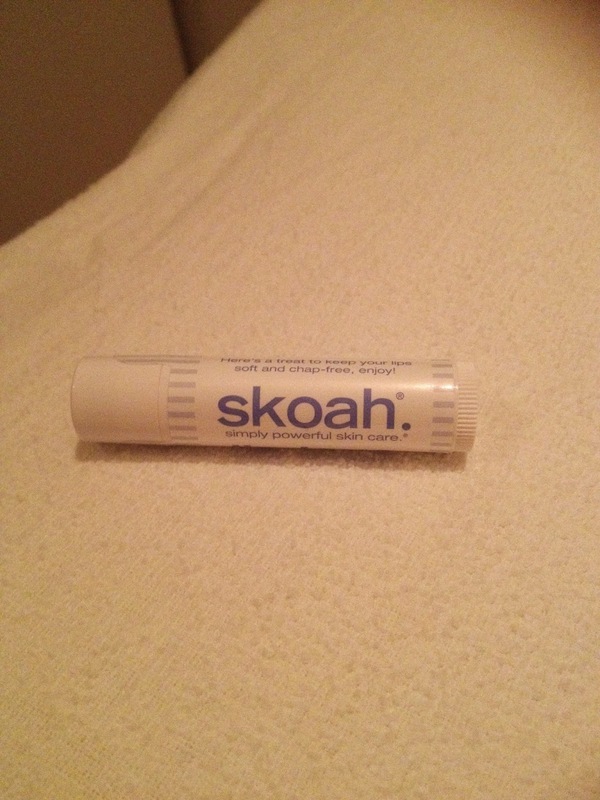 My after facial GLOWAH from SKOAH!!! Once my "Power Facial" was finished I was left alone to enjoy the last little bit of me time and get dressed. ... but it was really hard leaving that cozy bed. I finally stepped out and made my way to the front, where I was offered a skin hydrator drink by my Skin Trainer, and she was able recommend Skoah products that would work best for my skin type. After this experience and seeing how my skin looked and felt for the entire week following, I am a believer that we need to have monthly facials- Our skin deserves it!! I must share that SKOAH also has a make up line called Chiiki Munki (how adorbs is that?) I totally recommended their Super Gloss. It comes in a array of colours and they have some incredible hand and foot lotions. The Kollection called "Fresh Love" smells DIVINE. And there is MORE... you are able to have your eyebrows and upper lip beautified!! SKOAH LO LO is truly the place to visit for all your beautifying and skin training needs!! !